Now as you may have noticed I am totally embracing all things beauty and before I conquer makeup I need to make sure that my skin is just right. 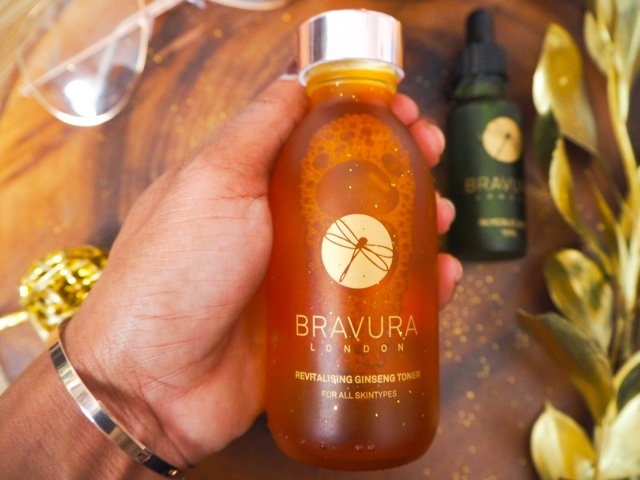 Type The Hype put me in touch with Bravura London to test drive there Revitalising Ginseng Toner and two Acidic Exfoliators, now as you may know I do love a good exfoliator, this for me determines the outlook of my skin, as a person who does not wear much makeup, this is extremely important to me. If I am honest I never really bother with toning the skin, what is the point! 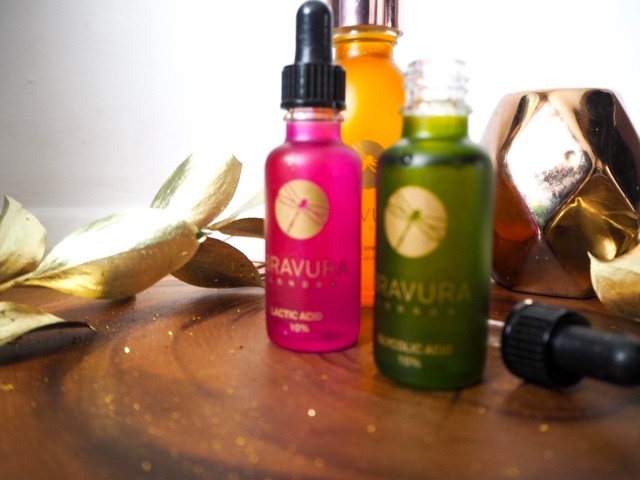 But after extensive research and help from Bravura I realised that it is extremely important for your skin. Toning will remove the last bits of cleanser, clinging for dear life to your face and neck, remove the days dirt and grime and absorb excess oil, but most importantly, help cool, nourish and restore hydration back in to your skin leaving it looking more glowing and even all at the same time as restoring the pH balance. The Revitalising Ginseng Toner (£12.40) comes in a heavy duty golden bottle, the moment you open in it, a calming fragrant whaft of Ginseng hits you , it's smell is very earthy. When applied to cotton wool and swiped across my face it automatically soothed the skin and also left it smelling great. This toner, is great for sensitive skin I felt no irritation whatsoever, which I can assume is from the aloe vera and witch hazel which are known to relieve irritation. I had never heard of Acidic Exfoliators (GASP! I Know! But 2017 is all about coming out of my comfort zone and trying something new, I mean i've never even had a facial!) prior to this, but if you are anything like me you are always up for trying something new, and this was brand new to me. I was sent two different types of Acidic Exfoliators, the Glycolic Acid 10% and the Lactic Acid 10%. I opened the Glycolic & Lactic Acid both smelt like heaven in a bottle, the aromatherapy and floral aromas came bundling out. I have sensitive skin, so I did a little patch test with both on each side of my face, and was chuffed to see that my skin was fine. I always recommend as well Bravura doing this, just in case, 'prevention is better than cure' my mother aways says! The Glycol Acid 10% (£9.59) and the Lactic Acid 10% (£9.59) comes with a pipette to measure out the correct amount of needed. They are designed to use side by on alternate days, in order to get the best results for better looking skin. 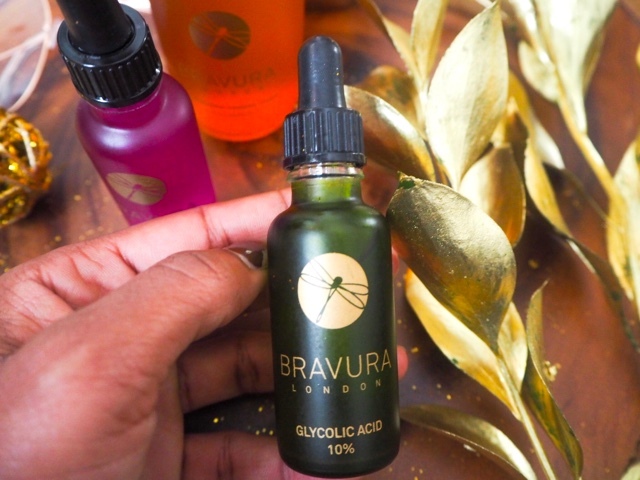 They Gycolic Acid is great for those first signs of fine lines, Acne, sun damaged skin (great if you just come back from skiing) and large pores, where the Lactic Acid imperfect for those with dry skin and the Rose water infused will help put back the moisture in to your skin. I was sent a Chemical Peel Applicator Brush, but Leanora had pinched it and used it to apply makeup to Milo (Cat). I massaged on to face with my finger tips, avoiding eyes and whilst working its magic I washed the residue off my hands. For the first time I left the exfoliator for 6 minutes, then as the weeks went past I left it on for 20 minutes. I did at first feel a slight tingling sensation, but thats just it working and helping to let the old dead skin off your face. Results, well for a busy working parent who does not have that much time in the mornings, especially on nursery run days, this is great to boost my skin and it has left it looking younger and fresher! 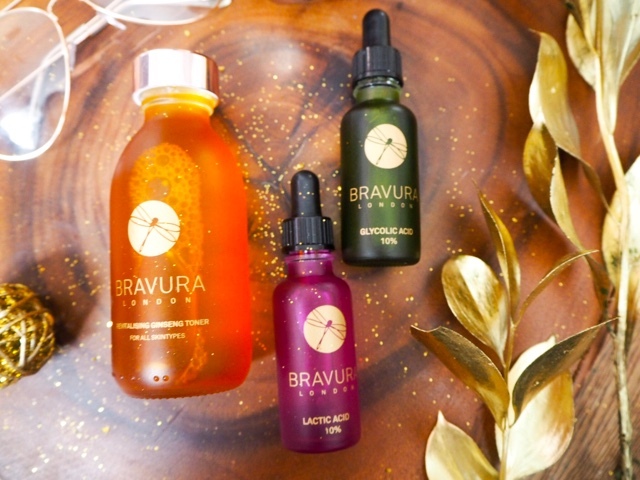 I have seen a great difference since using the Bravura Toner and Exfoliators. After a few weeks I do not think you need to use it as much as every day though, as it will have your skin where it is needed in no time, so 2-4 times a week is good enough. 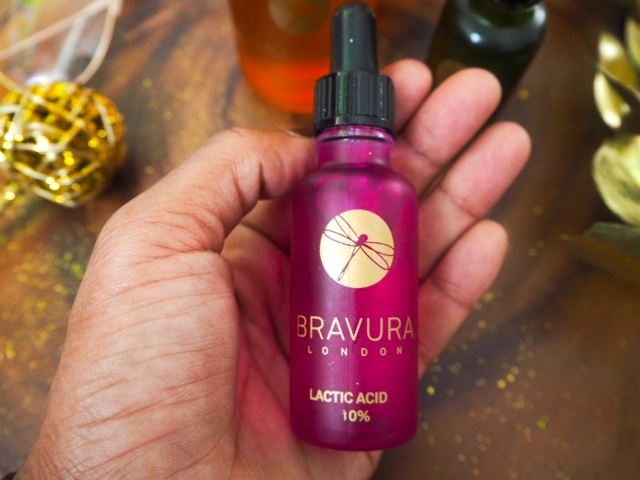 Have you tried Bravura or had chemicals peels before? I would love to hear your thoughts and findings in the comment below. You can also, which I would love is follow or comment on my Facebook, Instagram, Twitter and Bloglovin page to.